The Paint I use 4 tubes later! 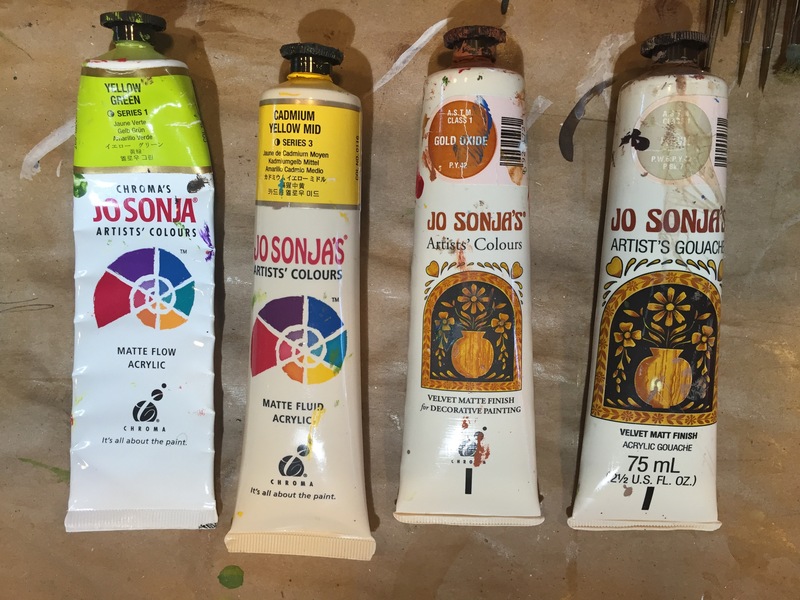 I have been using Jo Sonja’s paint for the last 18 years. It all began with a Chroma Acrylics Rep seeing my work 19 years ago and asking if I would like to try Chroma’s Jo-Sonja brand Acrylic Gouache. I was an oil painter frustrated with my production, I loved and still love oils but I could not complete pieces fast enough. So, I was using Acrylics with success but it felt forced, I was not enjoying the paint. At an art show I told the Chroma Rep how I felt and she said she was excited to see how my work would look with their paint. I left the rep thinking I’ll never hear from her again, was I ever wrong! A week later a box arrives full of every color they made along with mediums, I thought it was Christmas! 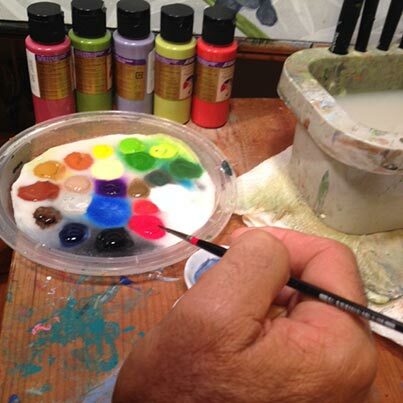 I began to play with the paints, I found that I really liked the flow, the color saturation, the way they felt coming off the brush….it was like they were made for me! The more I used these paints which by the way were way ahead of their time, the more I loved them. Today other brands offer acrylic gouaches but I feel Chroma’s is the best! When painting the Acrylic Polymer in the paint holds each layer down, so when it dries there is no lifting, I could layer, I could paint dark to light or light to dark, then it dries quickly to a mat finish. The colors are vibrant and rich, professional quality, remainig true to the initial application as they dry. Today I am an official Chroma Acrylics teacher using Jo Sonja’s Acrylic Gouache and this is the paint we use in my workshops, in my opinion these are great paints for pros to beginners. Over the years the tubes have morphed away from having the word “Gouache” on the label, but it’s still in the tube ! Here are the tubes from 19 years ago to today.